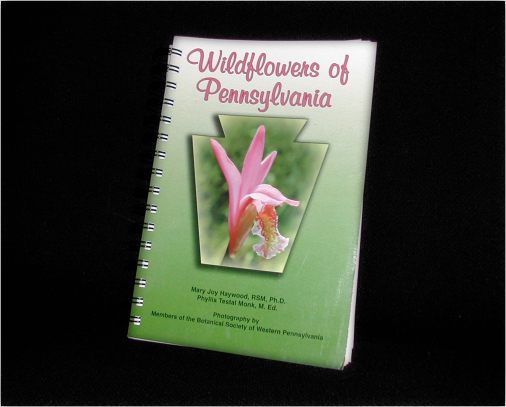 This publication contains 612 color photographs of wildflowers of Pennsylvania. These beautiful photographs were taken by members of the Society. 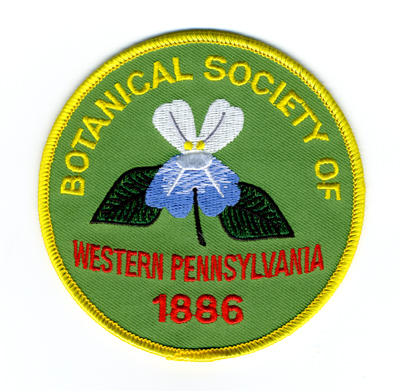 The book also gives a brief description of botanical facts about the plant, the habitat where the plant is located, location in the state where the flowers can be found and the status of the flower in Pennsylvania: rare, threatened and/or endangered. It is spiral-bound for ease of use. $22 includes postage. This is a new, embroidered patch, featuring blue-eyed Mary. 4-inch diameter. $5. 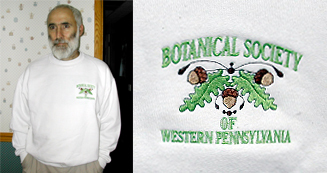 Embroidered on the top left front with an oak leaf/acorn emblem, shown here. Available in white in sizes: S, M, L. $20.